Childhood physical abuse predicts emotional/behavioral, self-regulatory, and social problems. Yet factors from multiple ecological levels contribute to children’s adjustment. The purpose of this study was to examine the degree to which the social-emotional adjustment of physically abused children in first grade would be predicted by a set of child-, parent-, and family-level predictors in kindergarten. 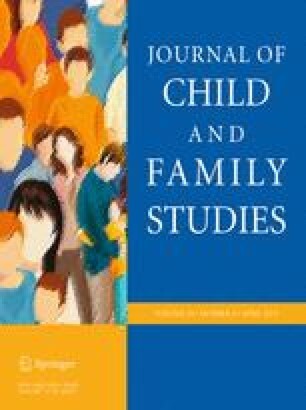 Drawing on a short-term longitudinal study of 92 physically abused children and their primary caregivers, the current study used linear regression to examine early childhood child (i.e., gender, IQ, child perceptions of maternal acceptance), parent (i.e., parental mental health), and family relationship (i.e., sensitive parenting, hostile parenting, family conflict) factors as predictors of first grade internalizing and externalizing symptomatology, emotion dysregulation, and negative peer interactions. We used a multi-method, multi-informant approach to measuring predictors and children’s adjustment. Internalizing symptomatology was significantly predicted by child IQ, parental mental health, and family conflict. Externalizing symptomatology and emotion dysregulation were predicted by child IQ. Although a large proportion of variance in measures of adjustment was accounted for by the set of predictors, few individual variables were unique predictors of child adjustment. Variability in the predictors of adjustment for physically abused children underscores the need for individualized treatment approaches. US Department of Health and Human Services, Administration for Children and Families, Administration on Children, Youth and Families, Children’s Bureau. (2012). Child Maltreatment 2011. http://www.acf.hhs.gov/programs/cb/stats_research/index.htm#can.